Cloud Security being the topmost concern today with enterprises, firms put the need of robust cloud data defenses above everything else. With third-party cloud service vendors, they are facing some challenges in this regard. Cloud security risks after cloud adoption, the gravest concern encircling the fear zone of enterprises is of Cloud Security, which can be achieved through CASB without departing cloud computing benefits. Around eighty three percent (that makes it 5 in 6 firms) organizations who have been using cloud services, are now prioritizing a superior high level of cloud security when they look for some cloud computing solution, as per a recent report. Ingram-Micro-Cloud survey study had 250 cloud-end users based in the United Kingdom from multiple mid-market firms and enterprises, from across a wide range of many chief sectors. As per this survey, cloud computing aspects other than cloud security that holds importance to these end-user business places included competitive pricing (seventy-four percent), scalability (sixty-eight percent) and capacity of backing up and archiving (fifty-two percent). Despite cloud security threats, cloud security risks after cloud adoption as well as challenges, adoption of cloud computing models is continuing rapidly, with overall global revenue for public-cloud market was expected to be around $260.2 billion in the year 2017, as per Gartner, which amounts to a steep increase of around 18.5% year-after-year. Findings of Ingram Micro would also not come as a surprise after a year, in which, topmost firms suffered some of the most serious data breach incidences, thus putting cloud security in the question-radar, and who have now been looking for cloud security solutions to check any such incidences in future. What is the process of avoiding vendor lock-ins during cloud transition? A big question indeed! Considering cloud security aspect, system boundaries are not the edges of physical networks any longer, but the people who are using it. 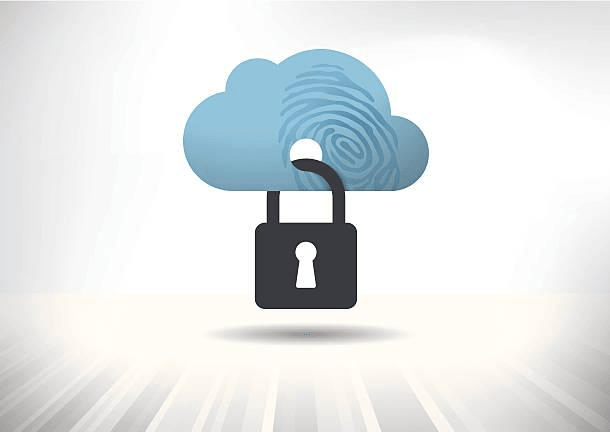 This precisely means that cloud security measures now have to focus more on securing data, identities, and applications, rather than just safeguarding only the entrance-points and the exit-points to those networks. The survey talked above also reveals that there have been opportunities rising for the resellers now for offering extra cloud security services as a part of their offerings for managed cloud services. Statistics reveal that around fifty-two percent of these now see this extra cloud security services vital for sustaining and rather strengthening relationships with their customers. To ensure cloud security is very important for firms that are ahead of the GDPR regulations that are incoming as a crucial part of what organizations personal data storage of EU (European Union) citizens have to have in place. Such regulations force organization as well as cloud 3rd parties into shared-responsibility models. For cloud service providers, the major responsibility that lies with them now is of protecting their infrastructure as well as applications so that their customers can easily use their services without any concerns about cloud security lapses and flaws in the systems. However, this responsibility for data protection for the data that is saved over that particular cloud infrastructure, from OS to apps, comes to individual organizations. CIOs / CISOs will be the ones who will finally take decisions on deploying a cloud security solution, or any IT related decision, for that matter. So, the importance of a CIO is clearly evident from this perspective. CASB solutions are adept at providing this much-needed cloud security blanket on organizations using cloud computing models.